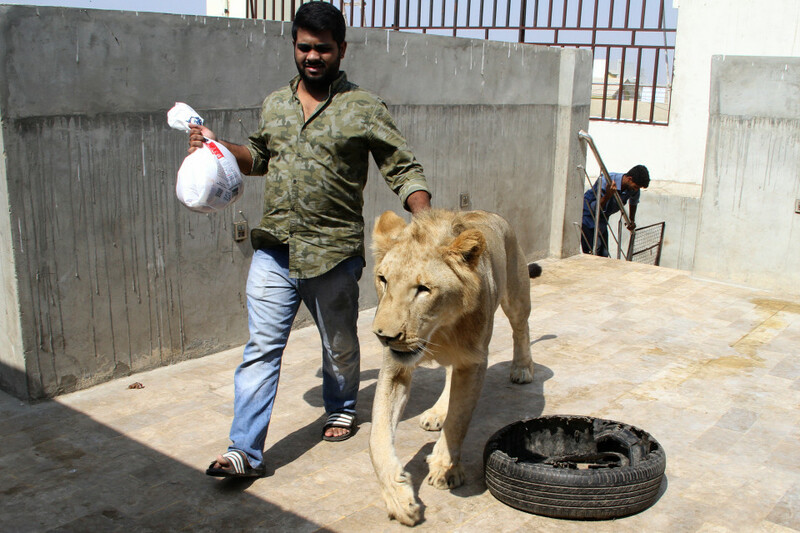 The siblings, Hamzah and Hassan Hussain, have been rearing 26-month-old Simba since he was abandoned by his mum at two weeks on their farm in Karachi, Pakistan. 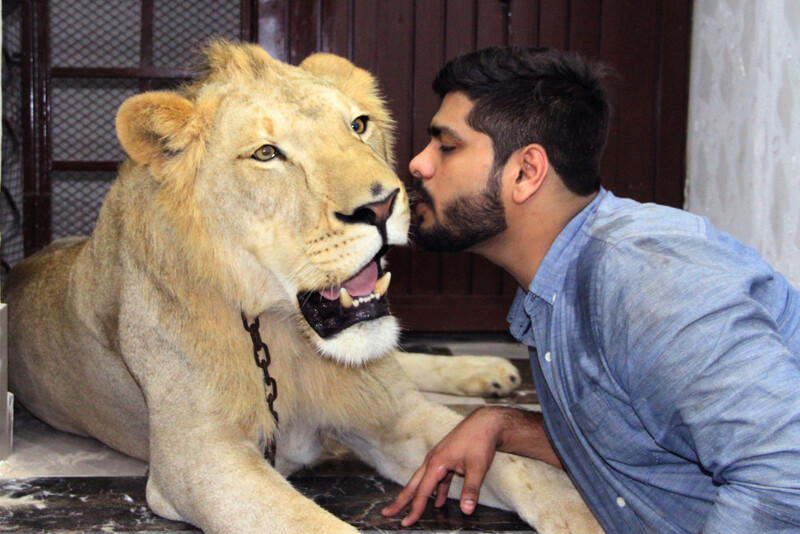 Hassan said: "He just loves cuddles." 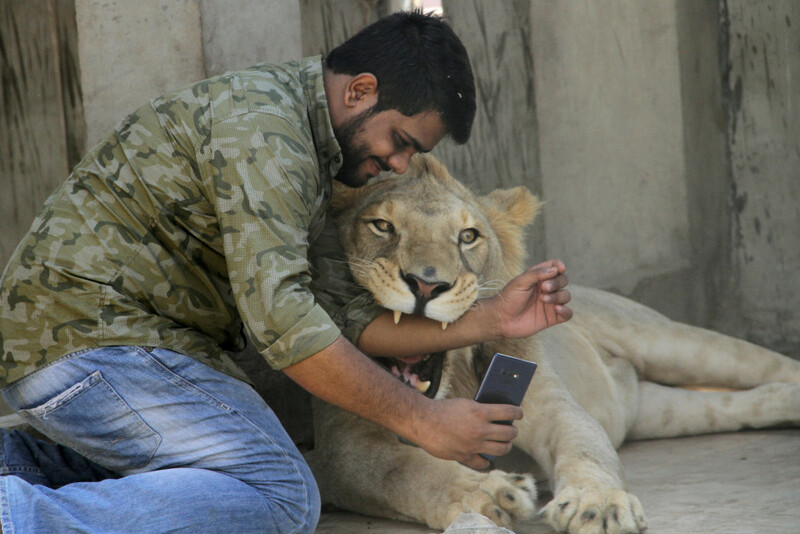 "The lion was born on our farm and his mother couldn't feed him the milk. So I bought him into our home." "Ever since we have been raising him like our brother." 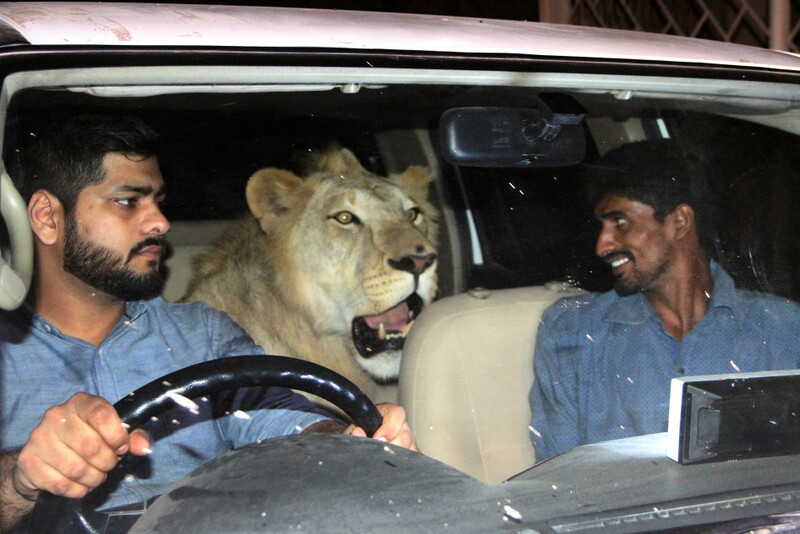 "I named him Simba and he is a very tame lion. And now he is 26 months old." "He is like my baby, so that's why I'm not afraid with him. You can see that I can put my hands in his mouth."